This article originally appeared in Nature 555, 7 (2018). In 2000, the United Nations hosted the largest gathering of political leaders ever held. At that meeting, all 189 UN member states, plus leading development institutions, committed to the Millennium Development Goals, a set of eight ambitious goals for lifting more than one billion people worldwide out of extreme poverty. The first goal — to cut extreme poverty and hunger in half by 2015 — was especially important to me, because it was crucial to achieving all the others. It was also controversial: experts thought it was impossible to achieve. But it sparked a global conversation about how to invest in agriculture, nutrition and food systems to ensure a future in which all children get the food they need to thrive, not just to survive. Talk led to action, and action to results. 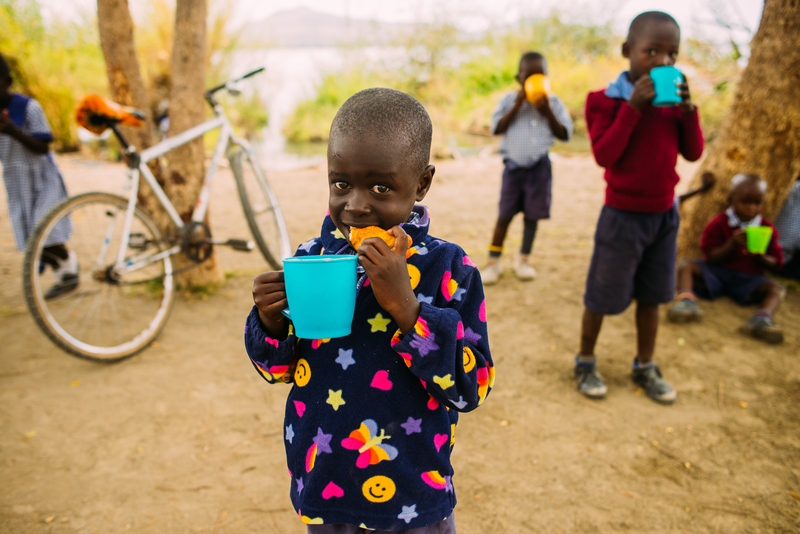 Between 2000 and 2015, nearly every African country improved childhood nutrition, especially in reducing stunted growth caused by malnutrition. For example, in Burkina Faso, stunting in children younger than 5 dropped from 42% in 2006 to 27% in 2016. In Ghana, my home country, rates fell from 36% to 19% between 2003 and 2014. These numbers are brought to life by maps produced by the University of Washington’s Institute for Health Metrics and Evaluation in Seattle. They illustrate rates of stunting, wasting and underweight in children — the best indicators for measuring child nutrition — across Africa from 2000 to 2015. These advanced statistical methods reveal progress at a level of detail that shows change almost down to the village level. A companion project has tracked childhood education, another crucial driver for improving people’s lives. The results alone are astonishing, especially for me — an African accustomed to international headlines depicting a continent consumed by war, famine and hunger. The Africa shown in these maps tells a different story: one of measurable, steady progress on issues long thought intractable. The maps also highlight stark disparities, particularly in conflict-affected areas. There are villages where all children are too short for their age. Across most of the Sahel, a semi-arid swath of land from the Atlantic to the Red Sea, high rates of stunting persist, with no hint of improvement. Indeed, they are a clear reminder that national averages do not tell the full story. In Kenya, for example, rates of wasting in children under 5 were below 6% on average nationwide in 2015, yet in certain regions plagued by several years of poor rains, crop failure and disease outbreaks, estimated levels of wasting reach as high as 28%. And Chad has areas of stunting that exceed 50%, despite a national average of about 37%. In Nigeria, we see progress in the south, but stagnant and high stunting rates in the drier, conflict-ridden north. Such fine-grained insight brings tremendous responsibility to act. It shows governments, international agencies and donors exactly where to direct resources and support. The Sustainable Development Goals — which UN member states endorsed when the Millennium Development Goals expired in 2015 — include the first targets for reducing stunting and wasting. The data indicate that no African country is currently on track to reach all the targets associated with ending hunger, achieving food security and improving nutrition. This shows how crucial it is to invest in data. Data gaps undermine our ability to target resources, develop policies and track accountability. Without good data, we’re flying blind. If you can’t see it, you can’t solve it. Several nations, including Burkina Faso and Ghana, have reaped the benefits of regularly and frequently collecting data on key nutrition indicators. Importantly, they are using the data to inform decisions about policy and programmes. And countries that make nutrition a political priority are seeing results. For example, Senegal’s stunting rate dropped by nearly one-third between 2011 and 2015, after the Prime Minister’s office established the Cellule de Lutte contre la Malnutrition, a coordinating body tasked with reducing undernutrition. This progress should spark a renewed commitment to refining data collection and analysis so as to hone interventions that can reach the most vulnerable individuals: infants, children and mothers. We must apply these lessons to communities that have not fared as well. Nutrition is one of the best drivers of development: it sparks a virtuous cycle of socio-economic improvements, such as increasing access to education and employment. With the help of institutions such as the Bill & Melinda Gates Foundation — which also supported the mapping project — I continue to advocate for better policies through my Foundation’s Combatting Hunger programme. Eradicating malnutrition is crucial to delivering on the Sustainable Development Goals’ promise of “leaving no one behind”. Current and former African leaders are now stepping up as part of the African Leaders for Nutrition Initiative, which was launched in January to catalyse and sustain political will. The group has committed to developing a Nutrition Accountability Score Card to track progress by country and region. These maps are another tool in our arsenal. Alone, they won’t eradicate malnutrition — but they will enable Africa’s leaders to act strategically.